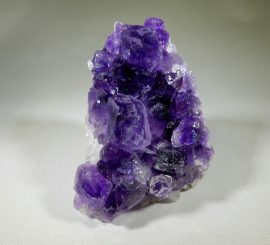 This power packed standing amethyst cluster is the perfect companion for your desk, meditation space, or nightstand. The price is for one crystal. 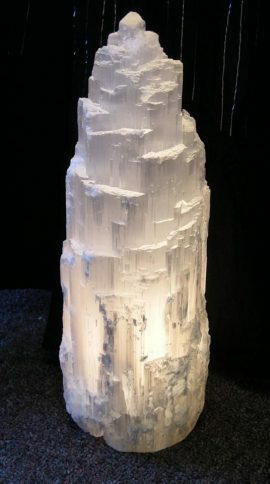 Each crystal is unique. No two are exactly the same or exactly as the ones pictured. We will do our best to select a special one just for you. 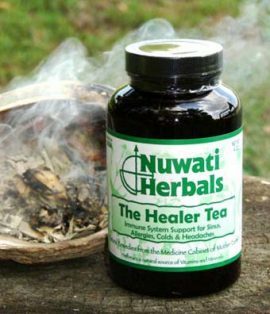 The Healer Tea, Nuwati Herbal Tea, 2 oz. Nuwati Herbals Teas work with the body in an all natural way to promote balance and good health. The loose herbal blends are bottled in amber jars to protect the herbs and preserve their effectiveness and flavor. Each jar contains between 9 and 34 different herbs. 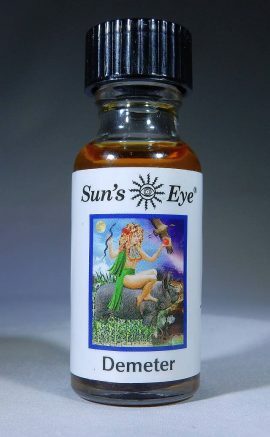 Nuwati Herbals 2 oz. Teas make approximately 18 to 23 cups. These figures are based upon using a level tablespoon. Exceptions: Cloud Walking is our only tea of the 2 oz. jars that contains 1.5 oz. The herbs are very fluffy and we can’t fit 2 oz in a jar. The Healer Tea is a stronger tea as it contains Cayenne Pepper. We suggest you only use a teaspoon when making this tea. You will get 30 to 40 cups from this jar. Nuwati Teas can be mixed together as long as their use is not in conflict with each other. For instance, we do not suggest you combine an energy tea with a tea for relaxation. Please see the description below for more details on this specific tea. The Healer Tea, Nuwati Herbal Tea, 4 oz. Nuwati Herbals 4 oz. Teas make approximately 20 to 35 cups. These figures are based upon using a level tablespoon. 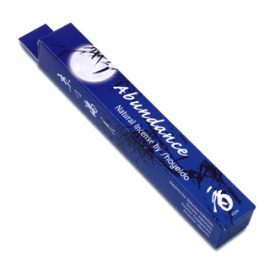 Shoyeido Kyoto Moon Incense – Abundance – A rewarding melange of sandalwood and spices. 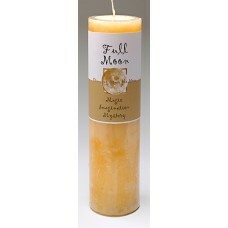 Drawing down the moon candle, full moon can bring you magic, imagination, mystery are the blessings of the full moon. Full moon teaches us that the magic of manifesting our dreams comes when we fill ourselves with the intention and passion of what we desire. It is owning this passion body, mind and spirit, that magnetizes the outcome of our desires into our reality. 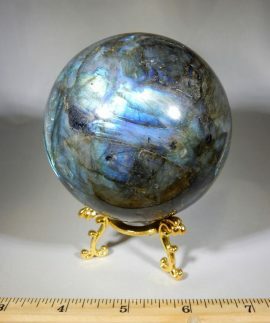 This labradorite sphere, large will help you understand why labradorite is known and used as a “Stone of Magic.” The protective powers of this crystal shield the aura by creating an energy barrier. 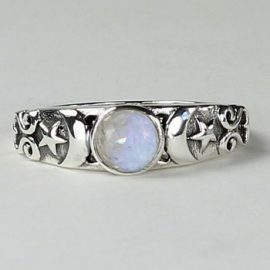 Labradorite holds personal energy in and provides protection from people who would drain or tap into that energy. How can this crystal help you in your life? See the description below for a list of the physical, emotional, and spiritual properties of labradorite. 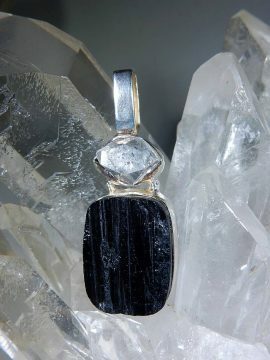 This black tourmaline and herkimer diamond pendant is the perfect statement piece for protection and to draw the light into your life. It is also good to use for grounding yourself and for balancing excess energy. The sterling silver pendant has a bezel set in mounting with a generous sized bail to accommodate most necklaces. How can this crystal help you in your life? See the description below for a list of the physical, emotional, and spiritual properties of black tourmaline and herkimer diamond. 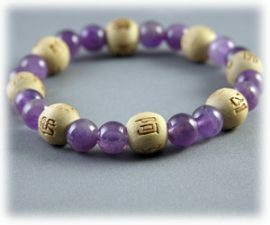 This Amethyst, Good Health and Protection, Karmalogy Bracelet a your zen connection. This beautiful bracelet was created from genuine Amethyst and Wooden Karma beads. Wear these bead always and you can have good health, be calm and tranquil, filled with peace and joy, free of stress and addiction, experience soothing, restful sleep, be open to new possibilities and new passions, enhance your creative abilities, and always discover the strength and beauty that lies within. Comes with an attached card with the above text. Dendritic Agate with Blue Topaz Pendant in Sterling Silver. 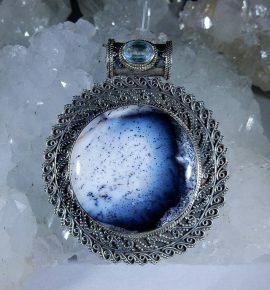 The bail on this pendant features a east to west faceted oval blue topaz and a large round dendritic agate cabochon with lots of filagree. 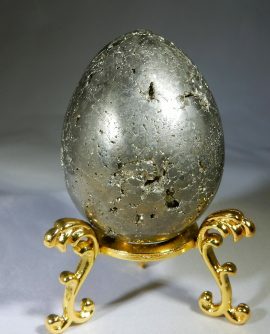 This pyrite egg is all natural beautiful specimen with interesting gold sparkling throughout. This is a great size, addition to your sacred space, or place in an area in need of energy cleansing. How can this crystal help you in your life? See the description below for a list of the physical, emotional, and spiritual properties of pyrite. This citrine natural standing point is a great addition to a sacred space or office. The citrine is a great cleanser of the environment and magnet for prosperity. Standing 5″ tall and slightly over 2.25″ wide this citrine crystal is a true show piece to anyones collection. 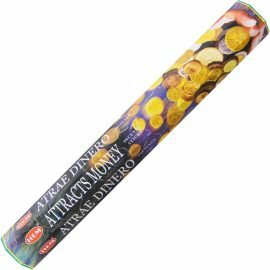 Attracts Money, HEM Brand Hexagonal Pack, Stick, Incense, 20gr. This Attracts Money, HEM Brand Hexagonal Pack, Stick, Incense, 20gr. is perfect for bringing abundance into your life. 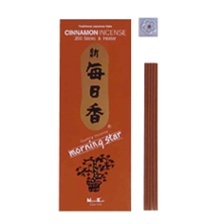 This pack contains about 20 sticks of incense in the pack. Contains Peppermint Leaf in essential and fragrance oils. 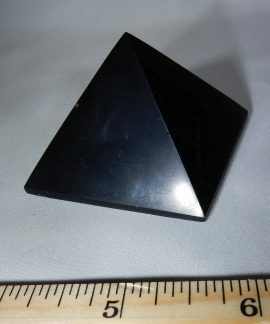 This shungite pyramid is all natural beautiful specimen in solid flat black color. This is a good piece for grounding, addition to your sacred space, or place in an area in need of energy cleansing. How can this crystal help you in your life? See the description below for a list of the physical, emotional, and spiritual properties of shungite. 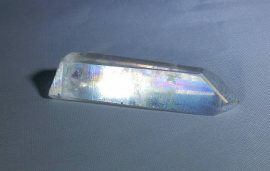 Price is for the Angel Aura Point shown in photograph. Others available at the store. Prices vary depending on weight and quality. Scents include White Sage, White Thyme, White Birch, Hyssop. Use to release and clear negative energy. 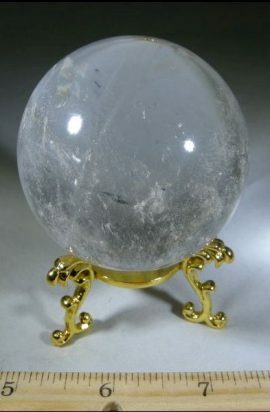 This crystal quartz sphere is all natural beautiful clear specimen with interesting subtle light reflections and rainbows throughout. 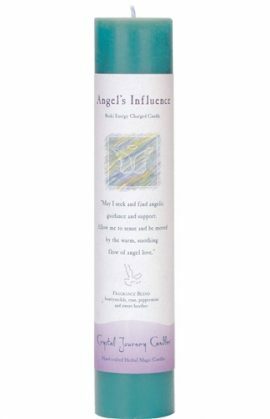 This is a great size, addition to your sacred space, or place in an area in need of energy cleansing. 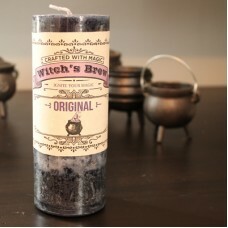 You will enjoy this witch’s brew candle that contains rare resins, herbs, and dragon’s blood. This candle is great for meditation, charging up your spells, protecting you during psychic work, and making your place smell just great! Frankincense myrrh and mugwort strengthen the spirit and enlighten the soul to energize and empower any witch’s spell craft. Blessing: By water, earth, fire and air, this spell be strong my intention fair. By the Lady and the Lord, in sacred space my magic is poured. Brew, brew my power grow, on a witch’s prayer my power flow. You will be in love with this rose and amber combo. 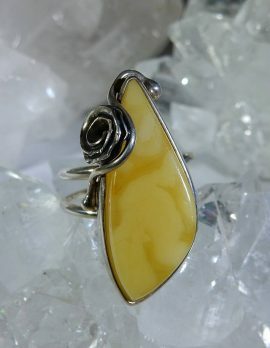 This amber and rose ring with butterscotch/milky amber in sterling silver is bezel set in sterling silver. 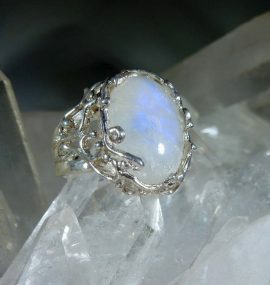 The waves in the amber cabochon nicely complements the design of the silversmithing in this piece.